Anaheed has prevailed in a desperate finish to win the Group Two Percy Sykes Stakes. Tough filly Anaheed has prevailed in the closest of finishes to claim the second Group Two win of her fledgling career. The Peter and Paul Snowden-trained two-year-old has had a spring campaign followed by tilts at the Blue Diamond Stakes and Golden Slipper. 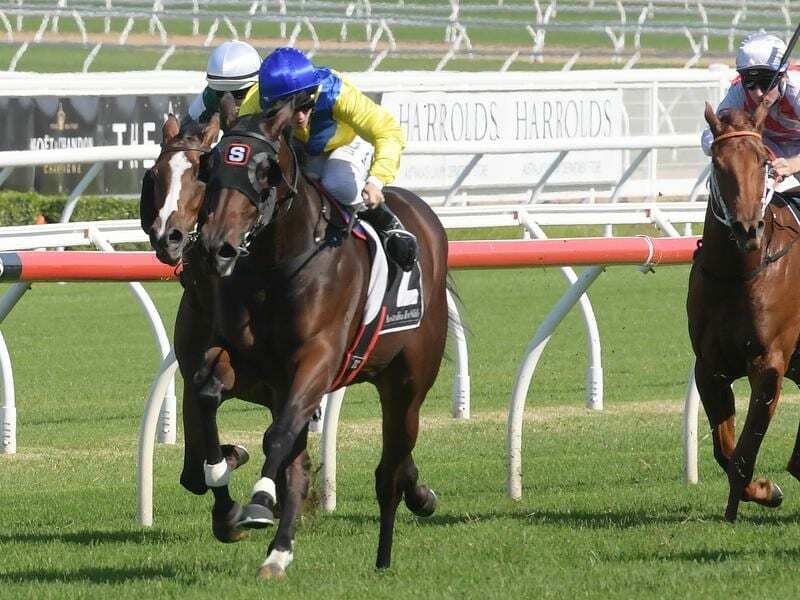 She lined up for her sixth start at Randwick on Saturday, jumping to the lead in the Percy Sykes Stakes (1200m) and holding off Flit by a nose. Paul Snowden said Anaheed had stood up to the training regime well. “She’s had a long preparation,” he said. “We always thought she was going to be a better three-year-old. But she’s just shown her ability. She won a stakes race on Everest day and here we are now. Her jockey Tim Clark was not sure Anaheed had held on to win until Flit’s jockey James MCDonald let his feelings out. “I wasn’t sure on the line but James let out an expletive,” Clark said. “She ran really well in the Slipper but she didn’t enjoy the heavy track. “I knew I was in play today going to the barriers because she felt great. “She is a filly I have a bit of time for and had a bit to do with and it’s great to get the win. Anaheed has now won three of her six starts and shown her versatility with one win on heavy, one on Saturday’s soft ground and the Group Two Sweet Embrace Stakes on a good surface.